SS DH fondo de pantalla. . HD Wallpaper and background images in the severus snape club tagged: deathly hallows severus snape severus snape alan rickman proffesor potions master. 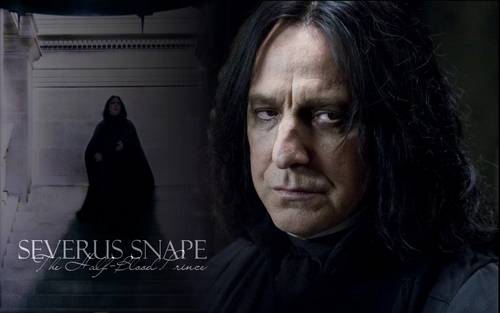 This severus snape wallpaper contains capa and griñón. There might also be capote, capa con capucha, capa encapuchada, capucha, campana, ópera capa, capucha ópera, capa de ópera, ópera, and campana de ópera. So handsome. I can see 18 yr old Severus in the eyes of the man once again witnessing horror of Voldemort. I will kill Dumbledore for posting up my Glamour Shots! He specifically promised he wouldn't show a soul!